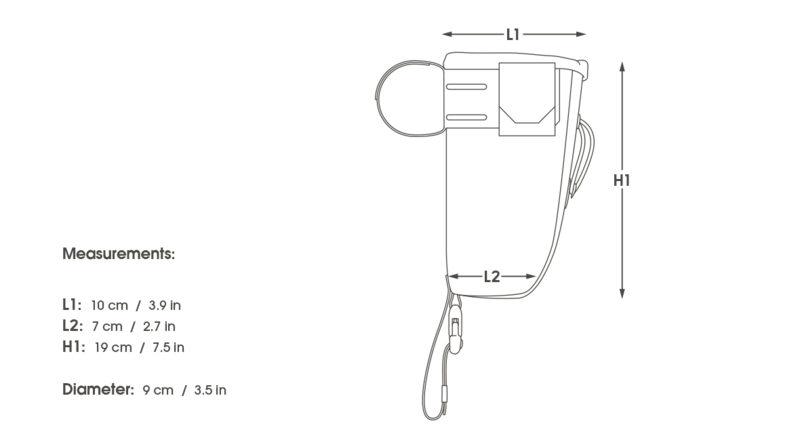 Designed to add easy-access storage space for frequently used items (water bottle, tools, arm warmers, snacks and so on) with a capacity of up to 1.2L. 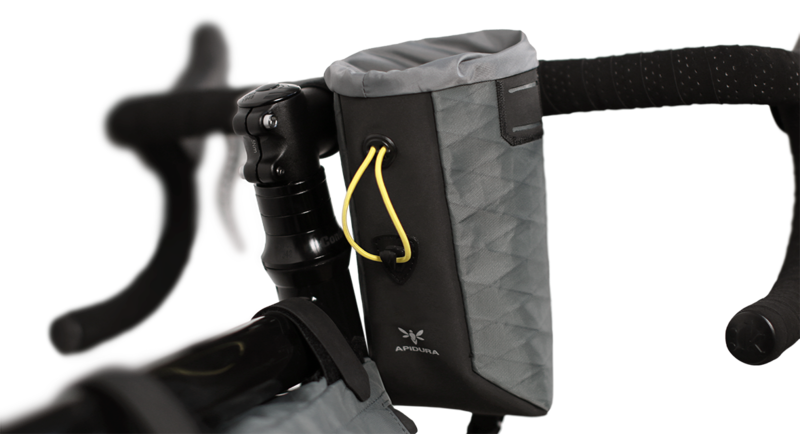 Food Pouches are an essential companion to any ultralight bikepacking system and are also great for every day riding and commuting. Run on either side of the stem; or run two in parallel. Constructed from high quality materials and optimized for durability and weight. Only 60 grams!